FREE SHIPPING TO UNITED STATES locations! 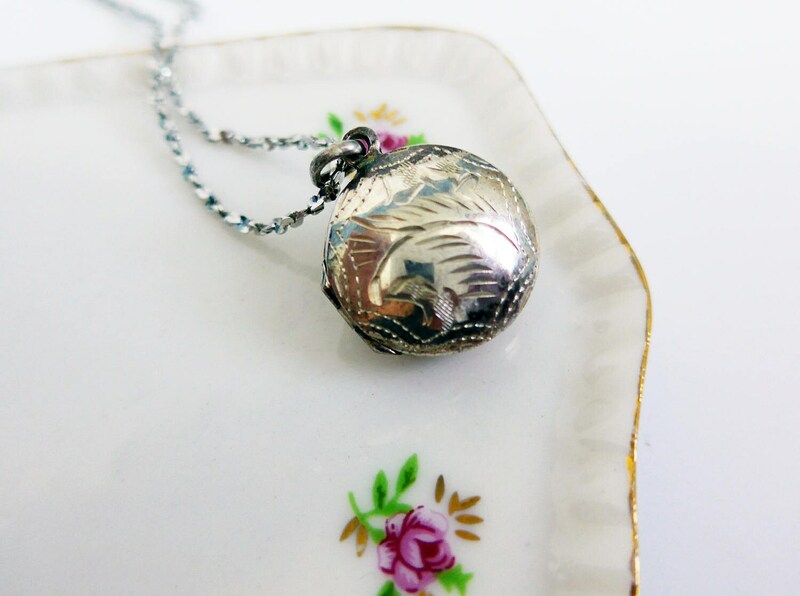 A vintage puffy sterling silver etched round pendant featuring swirly etched designs and a zig zag border on both front and back. 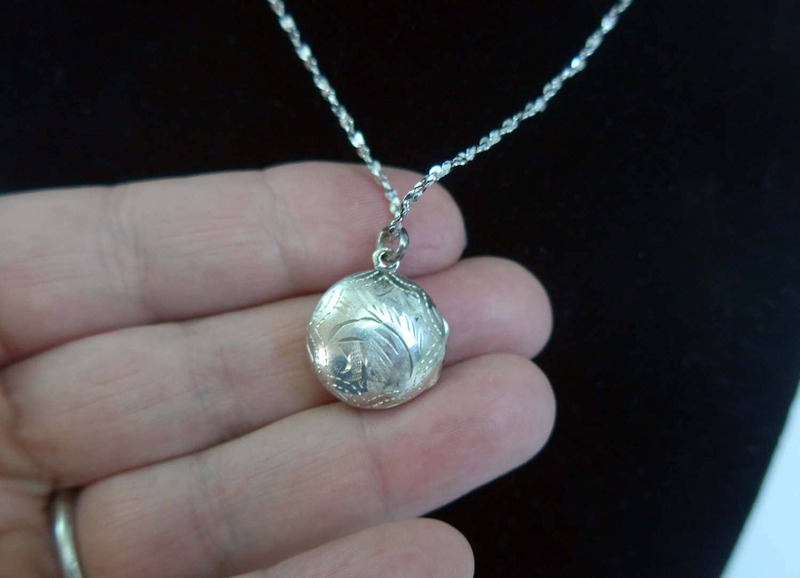 The locket hangs nicely from its vintage sterling twisted link chain. 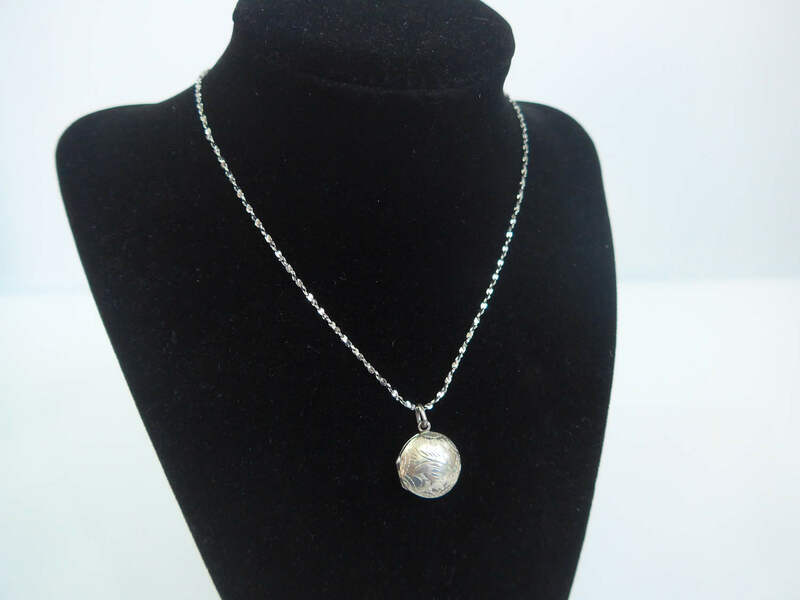 The pendant has a round shape and is marked 925 for Sterling Silver on the inside. 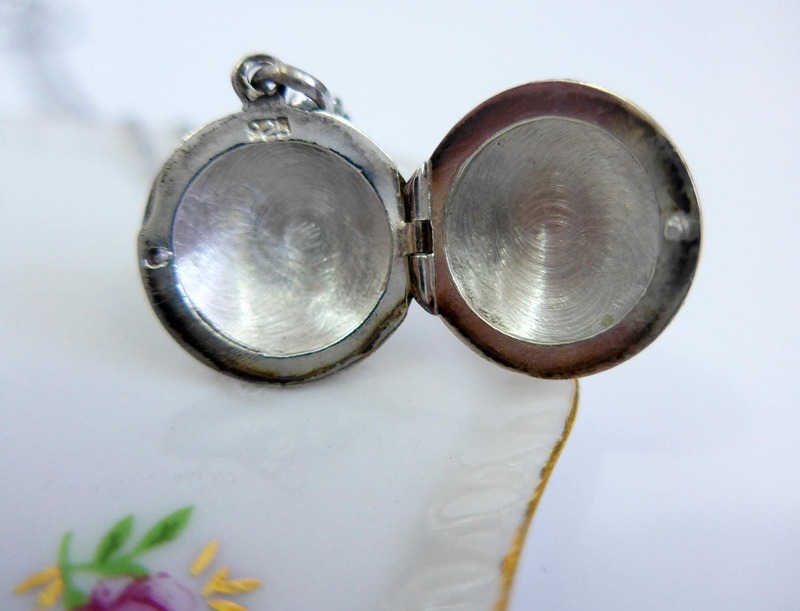 The locket is in nice vintage condition and still has a nice shine as does the chain. It has been lightly polished. The link sterling silver chain is marked 925 and AZ on the clasp. Chain clasp closes securely. 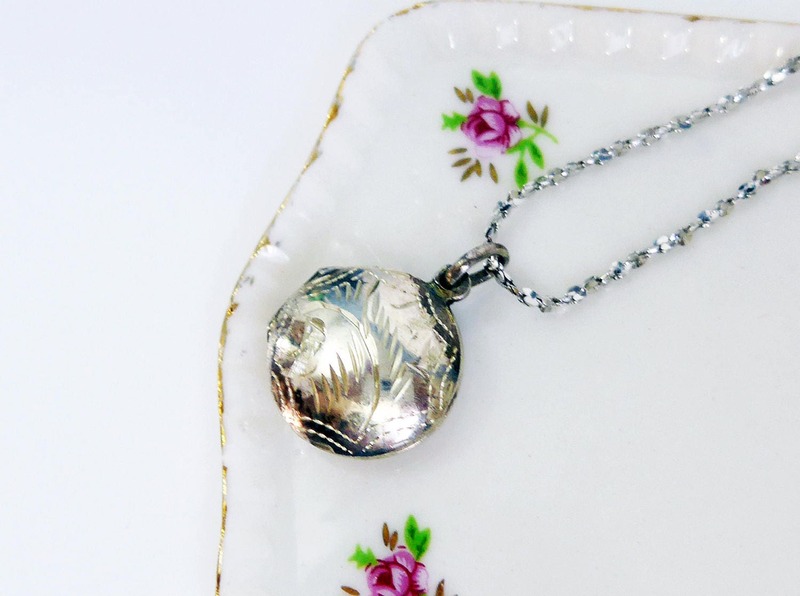 Pendant measures approx. 1" long (including bale) and 7/8" wide. Vintage sterling twisted link chain is about 15" long.